The concept of content marketing - basically the idea of giving information of value to your audience as a means of attracting attention, generating leads and sales, and building brand awareness and credibility - has been around for a long time, but it really gained traction as a business strategy in 2013. Content marketing entails giving information of value to your audience as a means of attracting attention, generating leads and sales, and building brand awareness and credibility. Today, it is amongst the most widely used marketing approaches, and interest in the topic has grown considerably over time according to data from Google Trends. While adoption of content marketing is widespread, the degree to which businesses have embraced it varies considerably, from companies that call themselves content marketers but simply “check the box” by posting the occasional blog, to those who fully commit and have dedicated staff whose job it is to produce content, both audio and video, as part of a full funnel marketing strategy. Then, you have another class of companies - brand publishers like Red Bull and John Deere - that have gone all in and built thriving media and publishing businesses around their content. What is the difference between a content marketer and a brand publisher? It’s not as simple as the volume of content they produce or the frequency with which they produce it. Brand publishers are the visionaries of content marketing. They’re the companies and brands that view content as not just a marketing tool, but as a product. They approach content creation not as a function of the business, but as a business in and of itself that can be monetized to create a high margin revenue stream. There are several specific ways in which brand publishers are fundamentally different from content marketers. As I mentioned earlier, there is quite a broad spectrum of approaches that companies take to content marketing. The beginners - those companies that are just dipping their toes in the water - tend to produce more product-related content. This might be because they’ve heard they should be creating content for their business, or someone told them they should blog once a week, or because they simply need an outlet to talk about the features and benefits of their products and services. Either way, it’s simple and easy (the path of least resistance) to create content that is more self-promotional than it is educational -- and it’s one of the most common mistakes I see beginner content marketers make. Savvier content marketers take an audience-driven approach that is focused on educating customers and prospects through their content rather than promoting their own offerings. They create value for their audience with the content they’re producing as opposed to describing the value that they offer to their audience. As they get better at it, content marketers tend to scale the volume of content they produce, and the best of the best produce content in a variety of formats encompassing written, video and audio. Done well, this positions them as the thought leaders, or even category leaders, within their space, and yields tremendous business results (in the form of increased traffic, leads and sales). Brand publishers take things even further by approaching content with a newsroom mentality. This means having tools in place to ensure their writers produce a consistently high quality of on-brand content, including editorial standards (here at IMPACT, we prefer AP Style), a brand style guide covering voice and tone, an editorial mission statement, strict rules around citing sources and being transparent when content is sponsored, and a code of ethics. They see the content they are creating as independent of the brand, meaning that their mission is purely to deliver value to their audience. A great example of a brand that does this well is John Deere. The company’s The Furrow magazine, which was launched in 1895, is focused on helping farmers grow their business. In its 100 year history, it has rarely published articles about the company’s products and in fact takes advertising from its competitors. One of the most important ways that content marketers differ from brand publishers is in how they view the role of marketing (and content) within the business. Whereas content marketers view marketing, and the creation of content, as a function of the business (and therefore a cost center), brand publishers view content as it’s own business (and therefore a profit center). One of the major shifts that occurs when a business goes from viewing content marketing as a cost center to treating it like a profit center is in how leadership views the budget required to support it. Cost centers are almost always measured by just that - how much they cost. As a result, the focus is on containing or reducing that cost. By contrast, profit centers are measured by their profitability or return on investment (ROI). In this case, the focus is on maximizing profit rather than reducing costs. This is a subtle but important shift because it means that there is significantly more potential for brands to increase their marketing budgets and allocate resources towards growth and innovation if marketing is viewed as a profit center than there is if it is viewed as a cost center. Viewing marketing as a profit center also means the business must have a strategy for making it profitable. How do brand publishers monetize their marketing efforts? To begin with, there are two building blocks that need to be in place for successful monetization: content and an audience. Companies that consistently produce high-quality content at scale and successfully build a loyal audience have tremendous opportunity to drive revenue from traditional media products like subscriptions, advertising and events, as well as their products and services. And depending upon the industry that a company is in, publisher revenues may offer higher margins than their core business (typical margins for media companies are between 20 and 35 percent). Having said this, not all brand publishers choose to pursue high profits. Instead, some play the long game and recognize that building a large audience is one of the best ways to insulate the company from market risks and generate downstream sales of their products and services. Regardless of the approach that a brand publisher takes, monetization plays an important role in the business model. 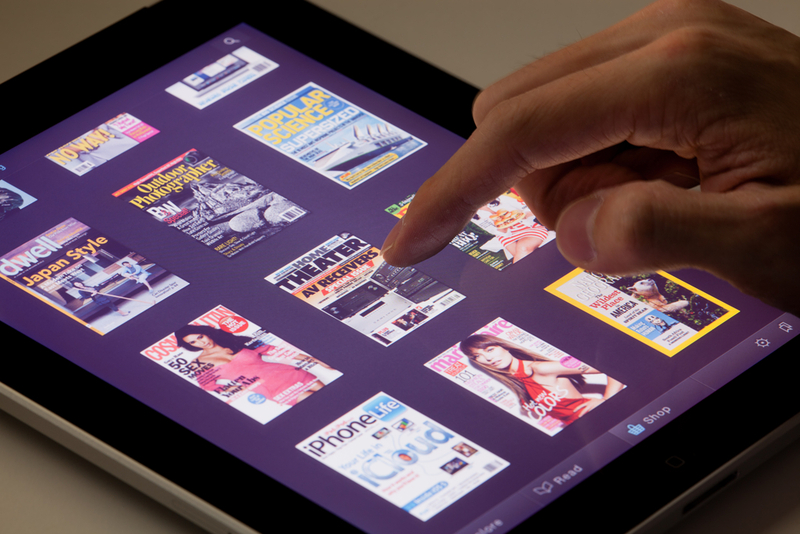 Is Brand Publishing Right For Your Company? Because I’ve shown content marketing and brand publishing along a continuum, it can be tempting to think of brand publishing as the better, more evolved option. That is absolutely NOT the case. The commitment to move from content marketing to brand publishing is a big one that is not right for every company. It requires a separate strategy, sales organization, delivery team, and in many cases, a separate tech stack. If your core business is not running incredibly smoothly (and profitably), the effort required to build a brand publishing business will most likely be a distraction. On the other hand, companies that are growing, profitable, have a well-run core business, truly possess a culture of content, and have strong top-down commitment to building a content business and an audience, stand to reap incredible long term benefits from this approach.